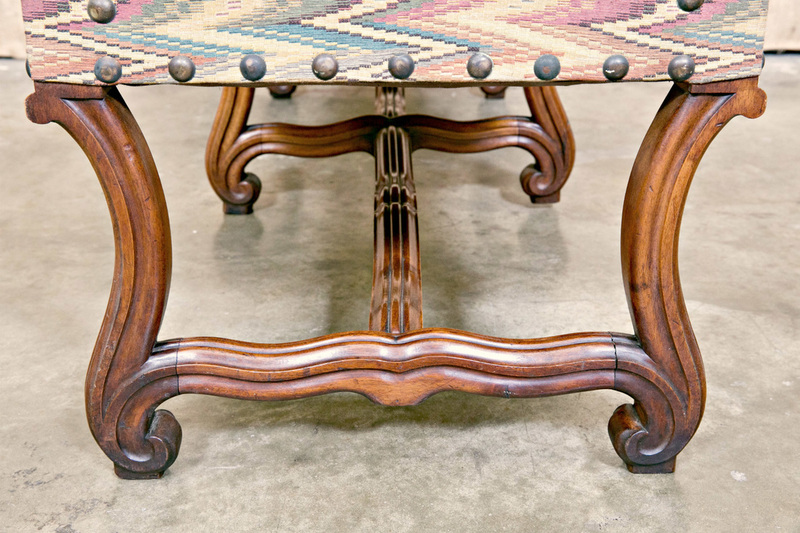 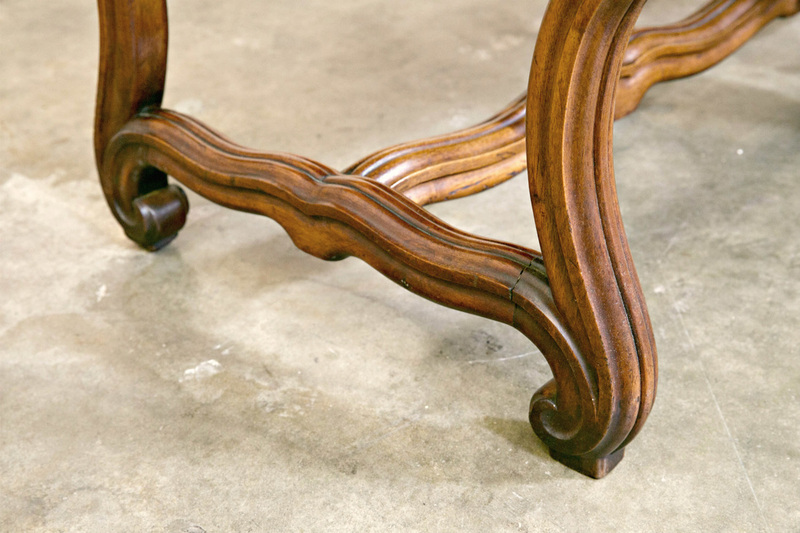 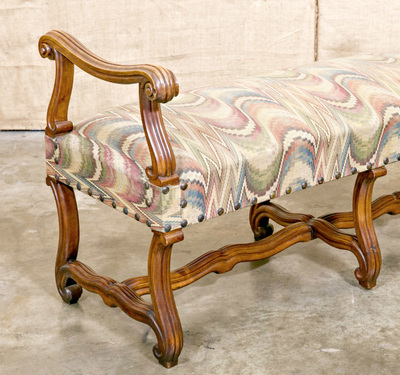 Beautiful mid-19th century backless French Louis XIII style Os de Mouton bench with arms, having six hand-carved walnut legs and carved stretcher. 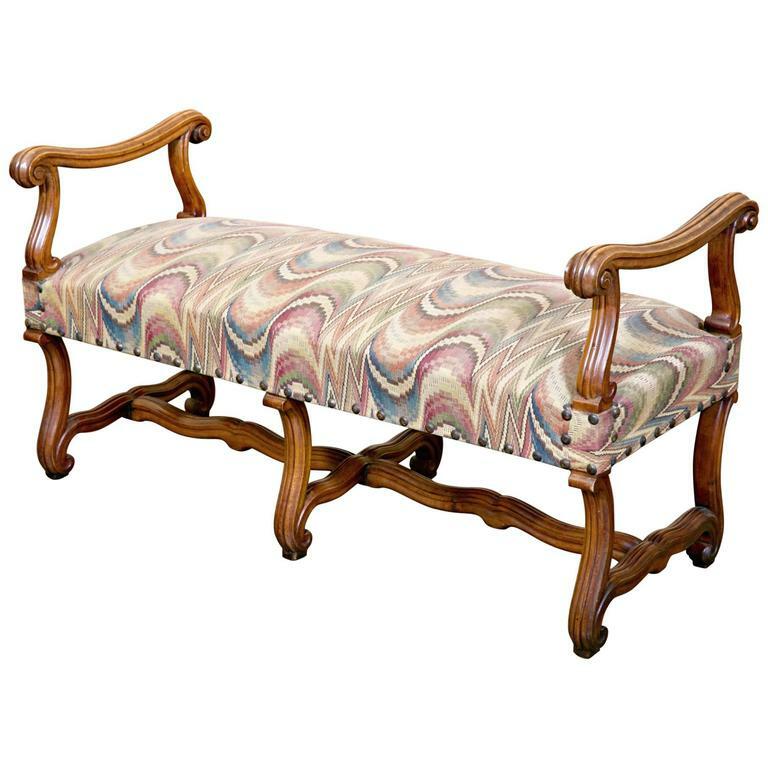 Small benches like this are highly sought after and quite difficult to find due to them being the perfect size for the foyer, the end of the bed, hallway, or as a dining chair alternative. 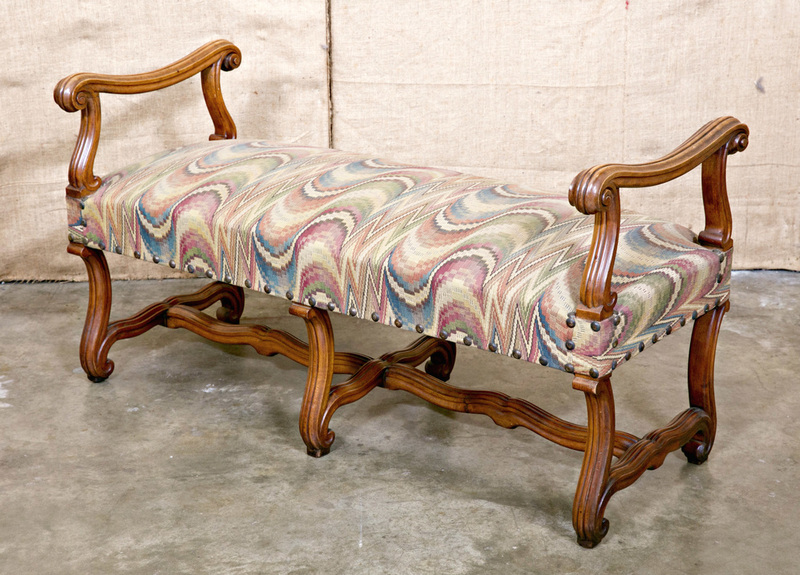 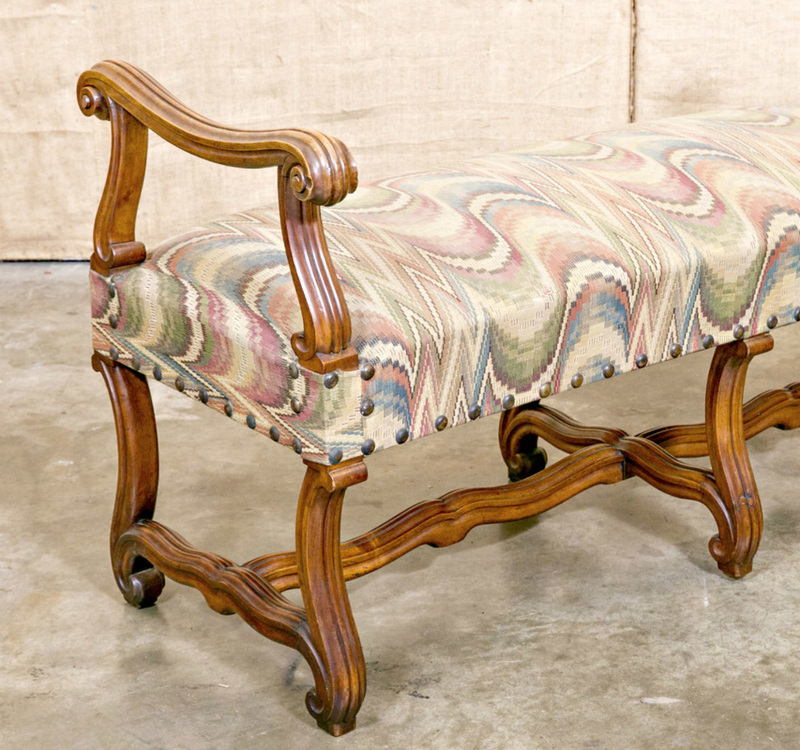 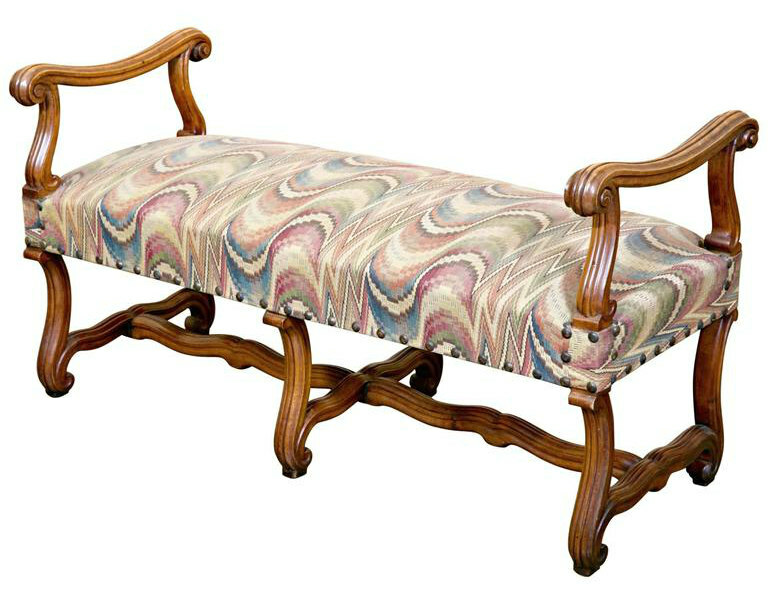 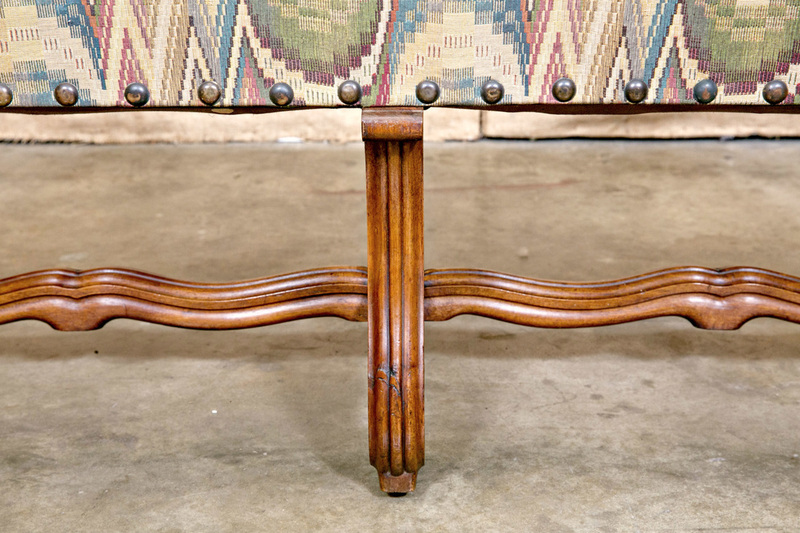 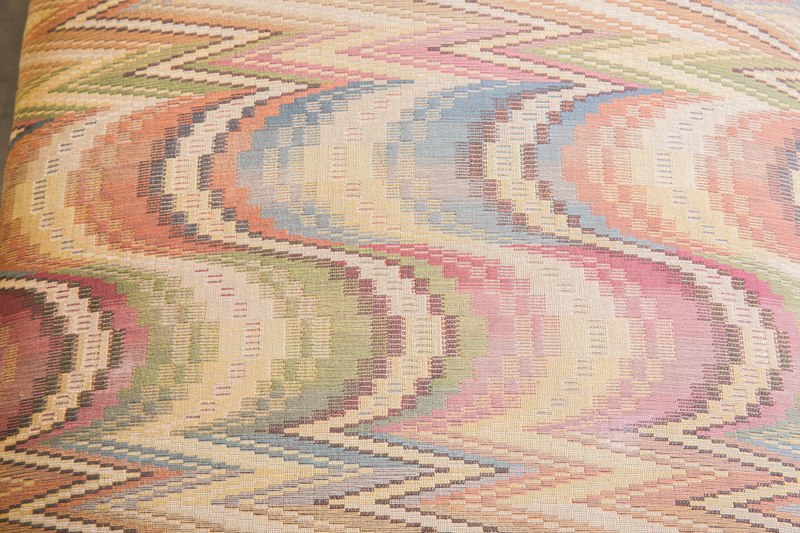 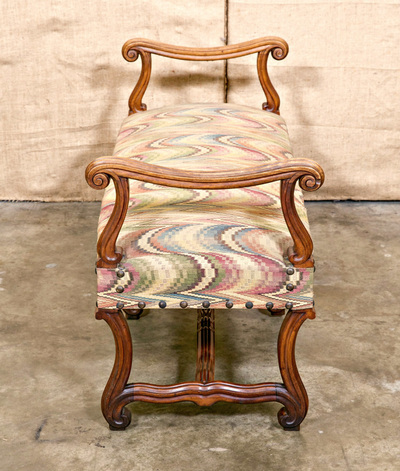 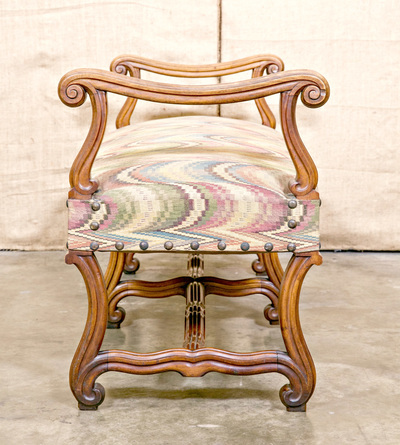 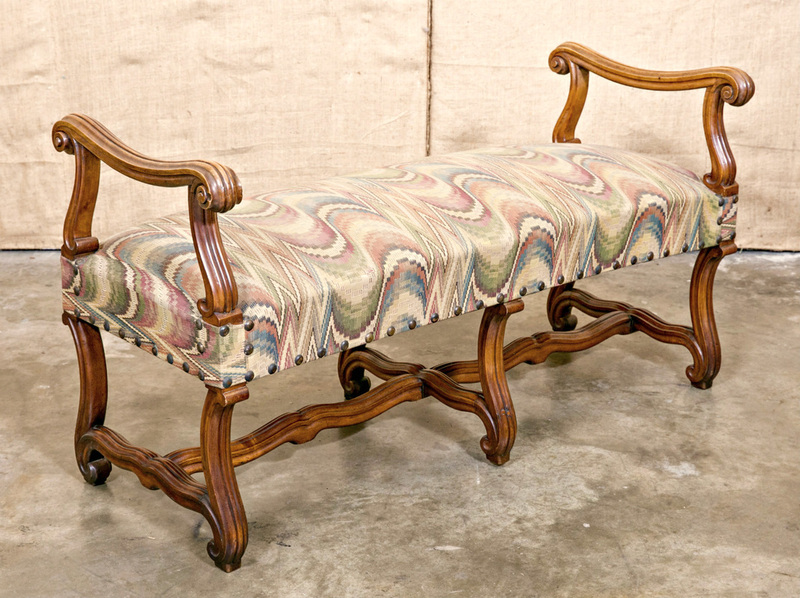 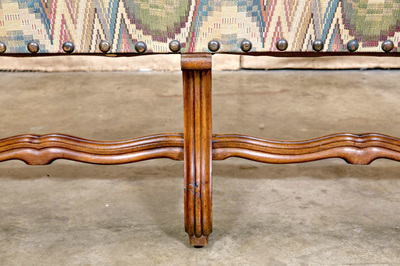 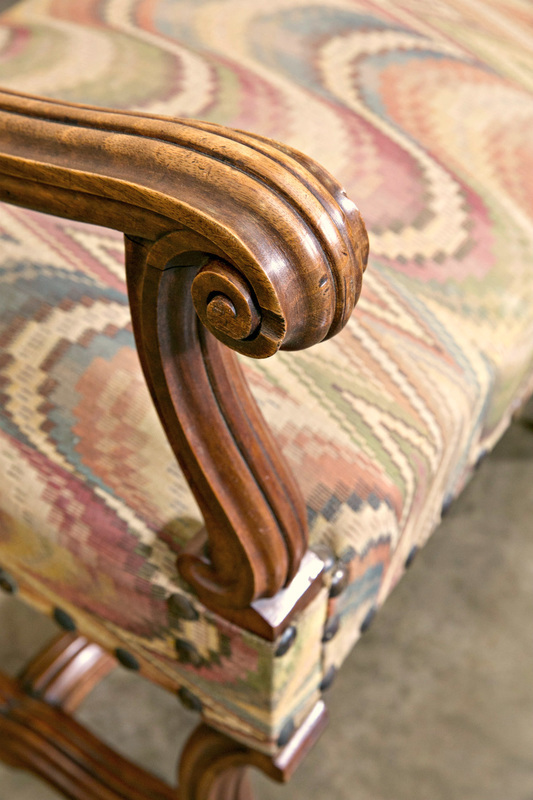 This stunning bench is in exquisite fully restored condition, structurally sound and the upholstery is in good condition. arm h - 27.5" seat h - 19.5"